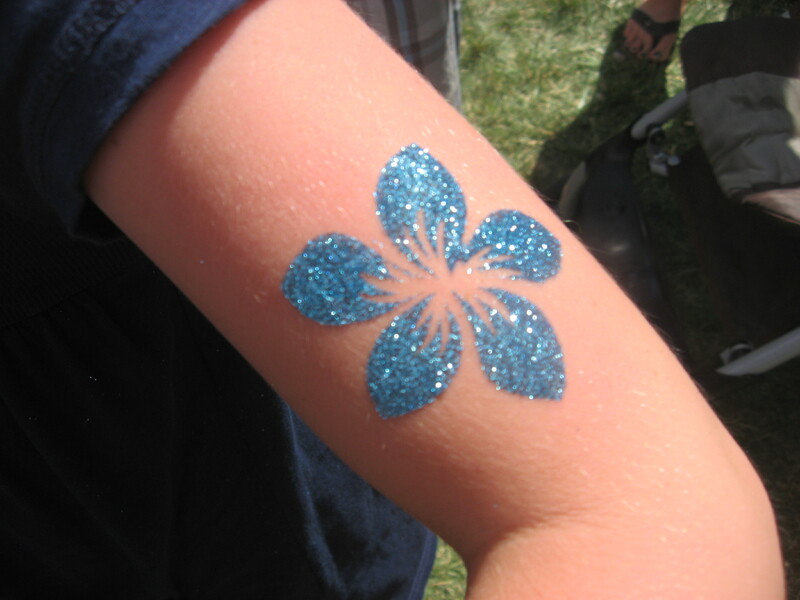 Glimmer Tattoos | My Kids' Entertainment-We specialize in creating smiles! 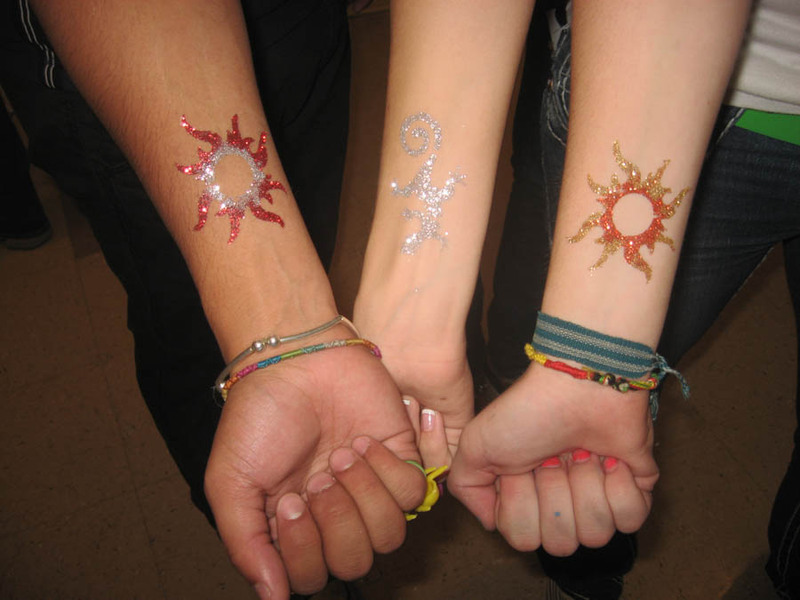 Glimmer tattoos are a wonderful way to add sparkle and fun to your next event! They are versatile, can be personalized, and a great addition to any party. We use only professional grade cosmetic glitter that is safe for use on the skin. *You pick the design you want out of our varied stencil collection. *Then a thin layer of glue is applied to the area. This is a skin safe, non-latex, adhesive glue that is made for use on the body. *The cosmetic grade glitter is then applied over it. 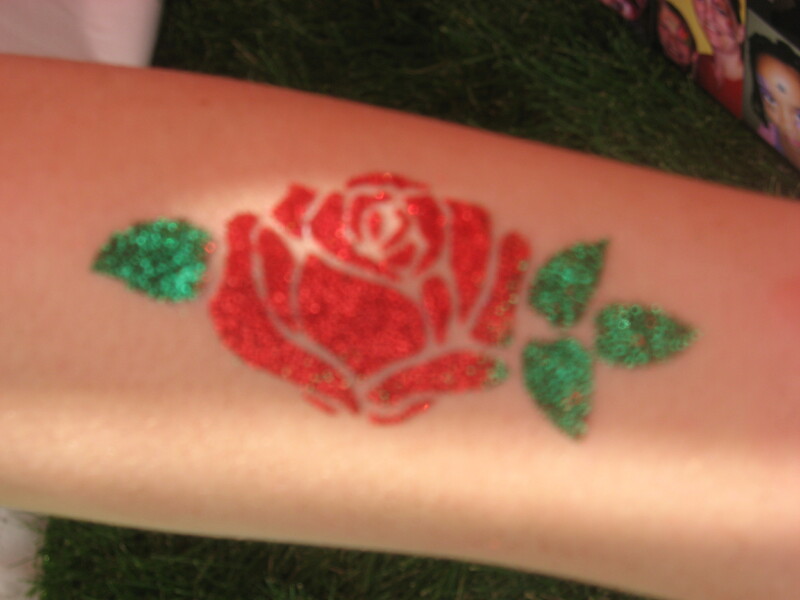 We use multiple colors of shimmery glitter so that no two tattoos ever need to look alike! 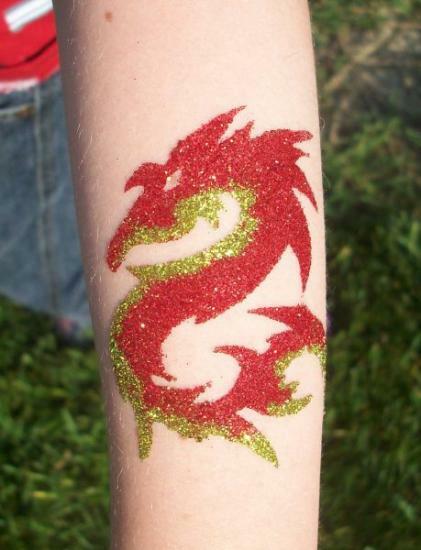 And that’s it-you now have an awesome Glimmer tattoo design that can last anywhere from 3-5 days, not just that day, like traditional face painting. Your guests will leave with a remarkable memory for days after your event! 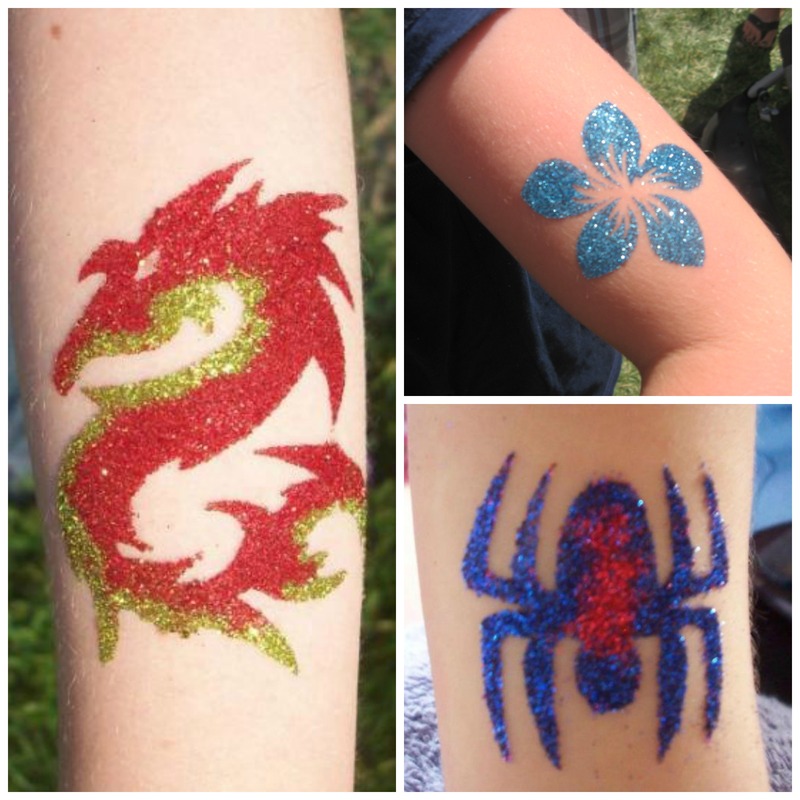 Our Glimmer tattoos are very popular with children and teens, and adults love them too! 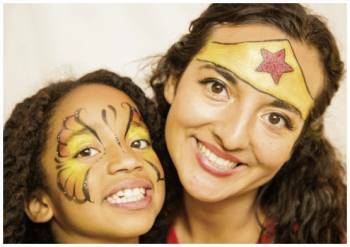 They are a great alternative to face painting, and are even waterproof. These designs are not intended for use on the face but look great on your arm, ankle, shoulder, etc. 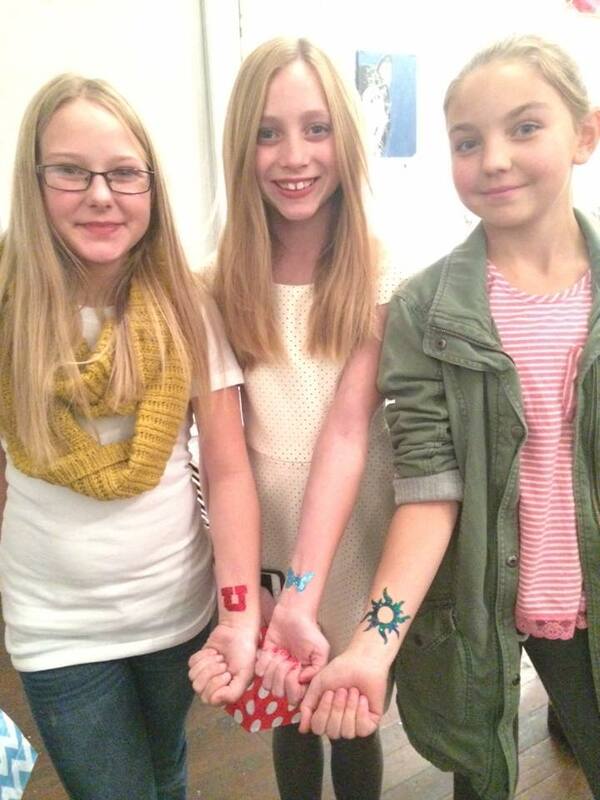 Glimmer Art has exploded in other parts of the country and My Kids’ Entertainment is the first to bring it right here to Utah! 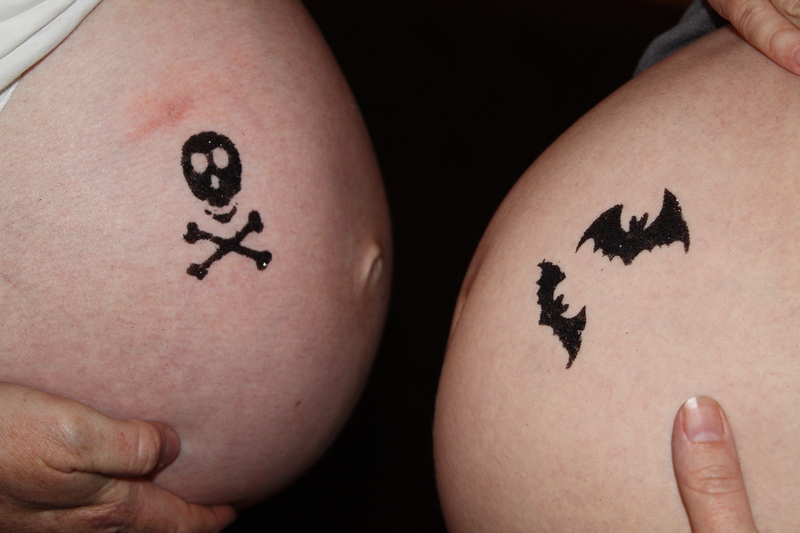 We can even create a custom stencil upon request, such as a company or fundraising logo, or special party theme. Just use the contact form to reach us. 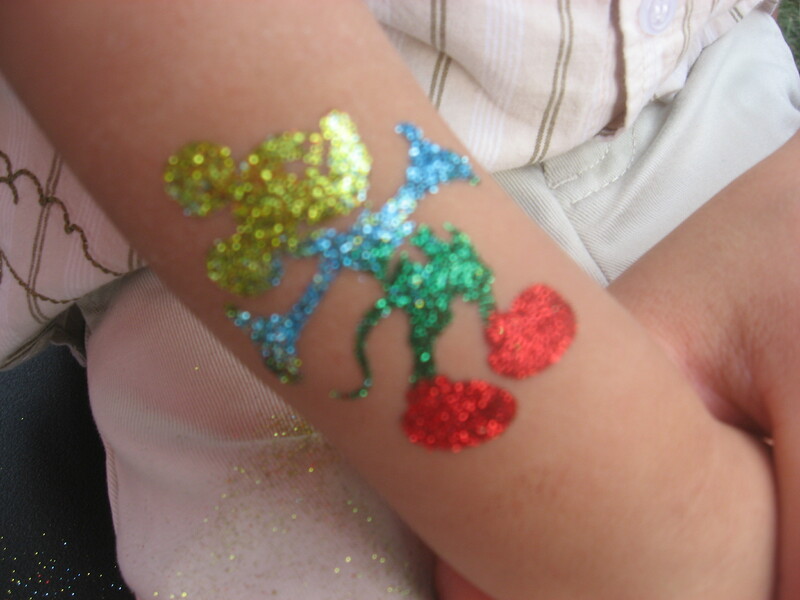 Remember, Glimmer tattoos are not just for girls, we have plenty of boy designs too. Just look at our Gallery to preview some great examples and keep checking back, as we are adding to it all the time! Are you ready to dazzle your guests with a product that is both NEW and EXCITING? Call us now to book your next event! 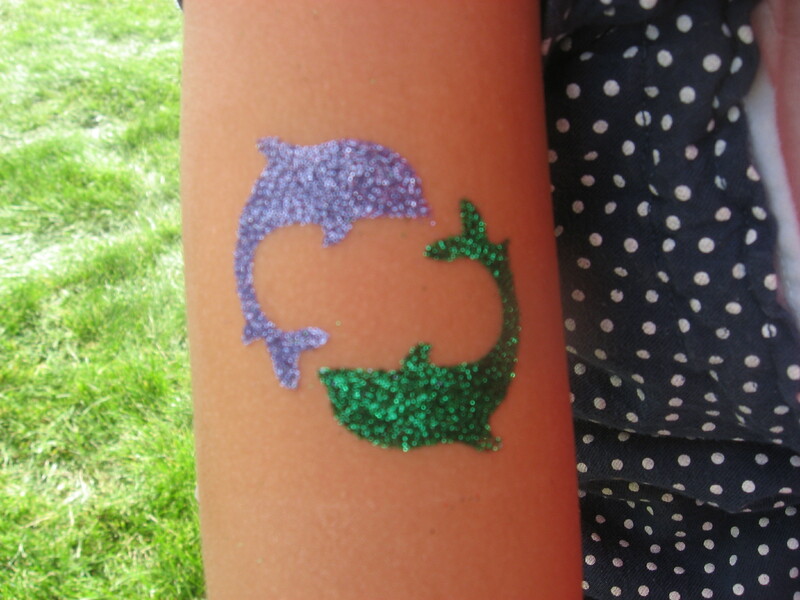 Note: The best way to remove your Glimmer tattoo, is to simply use rubbing alcohol or baby oil. This will take the adhesive as well as the glitter off the skin. 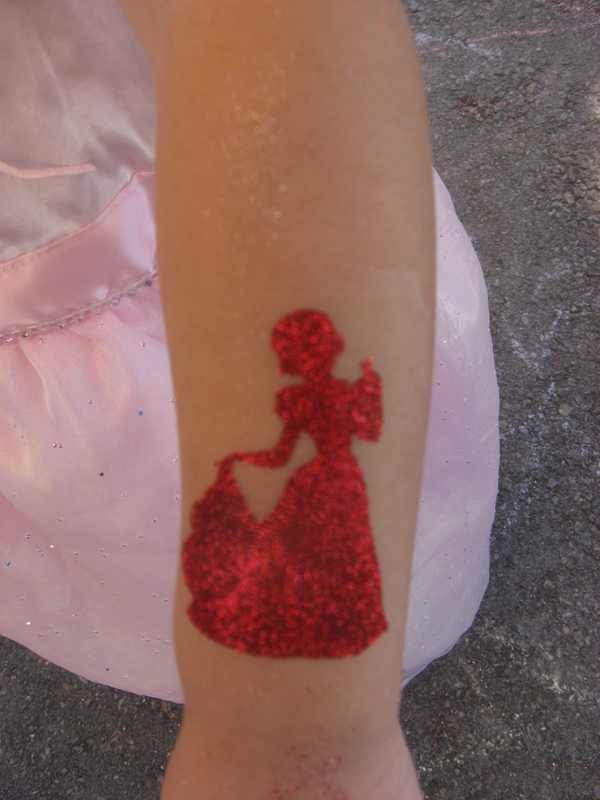 Removing the glitter tattoos after a shower is easiest, while your skin is still damp.